I went to see it this weekend in its temporary home, the rotunda of the National Gallery of Art. 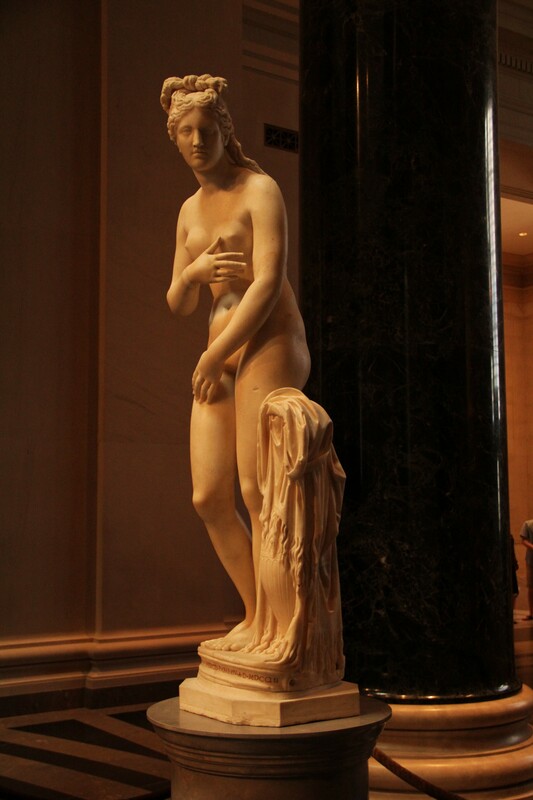 It’s an amazing statue of the Roman goddess of love, and one of the best preserved in history. It dates back to the second century AD, but only resurfaced in the 1670s in the ruins of a buried Roman building. From 1752, it was housed in Rome’s famed Capitoline Museum, which gave the statue its name. Incidentally, the location of the museum – the Capitoline Hill – is also the namesake of the District’s Capitol Hill. In ancient Rome, it was the location of the Forum and the Senate, and the center of civic and religious life. In the District, it’s the location of the Congress and the Capitol building, and it’s both the symbolic and geographical center of the city. 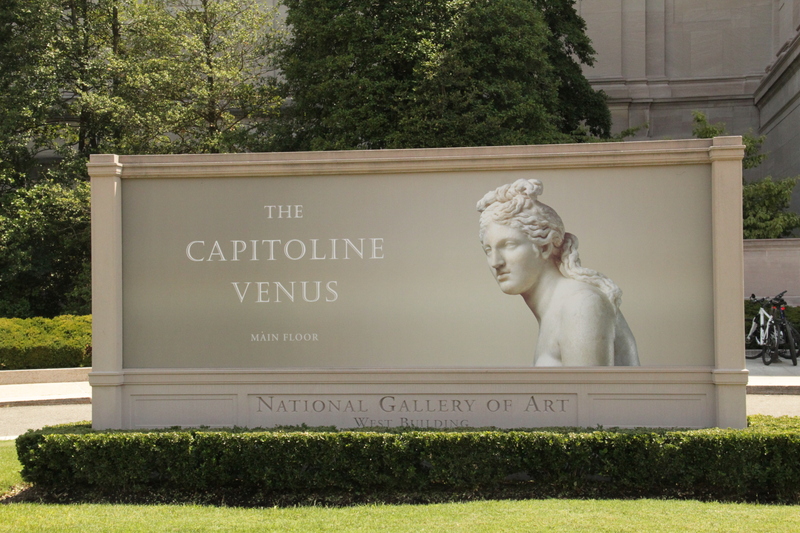 Americans have been admiring the Capitoline Venus throughout history – Mark Twain wrote a short story about it after seeing the statue in Rome in 1867 – but the admiration has mostly been from afar. The Venus has only left Italy once before, when Napoleon absconded with it in 1797 and paraded it through the streets of Paris. Now Americans have the chance to see it close up, in our own national museum in the shadow of Capitol Hill. In a timely twist, I’m actually leaving D.C. next week, bound for our newly minted sister city. I’ll be in Italy for a conference as part of my day job, and will now have the opportunity to look for familiar traces of historic Washington, D.C. in modern-day Rome. Consider it another part of our cultural exchange – you won’t want to miss it!